Explanation: What could you see approaching Saturn aboard an interplanetary cruise ship? 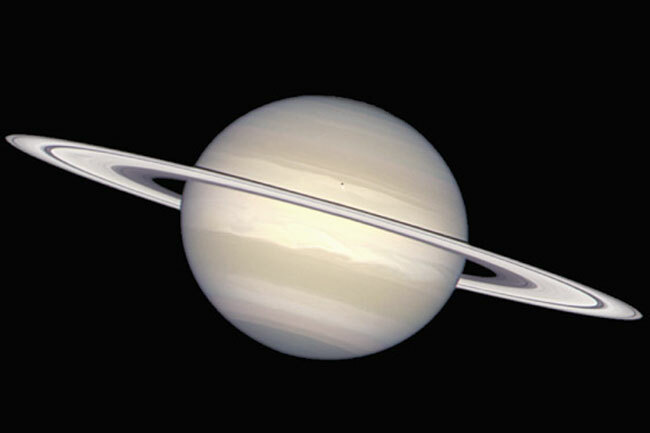 Your view would likely resemble this subtly shaded image of the gorgeous ringed gas giant. 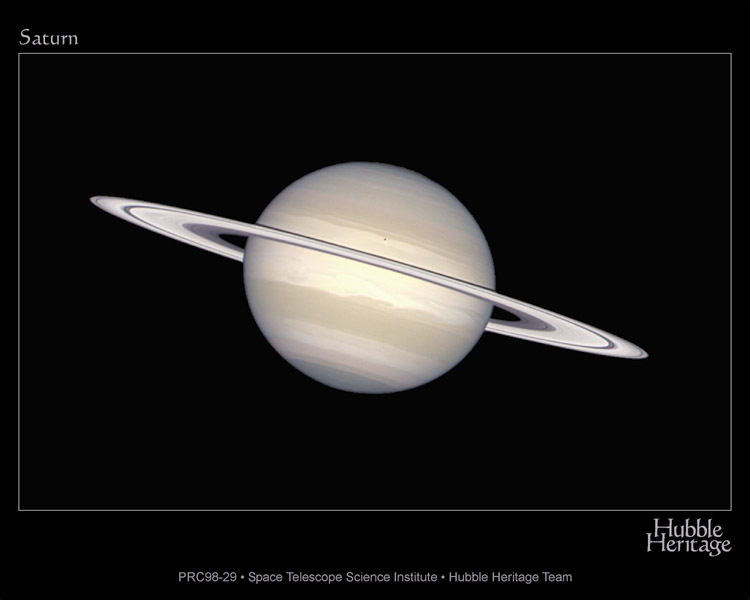 Processed by the Hubble Heritage project, the picture intentionally avoids overemphasizing color contrasts and presents a natural looking Saturn with cloud bands, storms, nearly edge-on rings, and the small round shadow of the moon Enceladus near the center of the planet's disk. Of course, seats were not available on the only ship currently en route, the Cassini spacecraft. Cassini flew by Jupiter at the turn of the millennium and is scheduled to arrive at Saturn in the year 2004. After an extended cruise to a world 1,400 million kilometers from the Sun, Cassini will tour the Saturnian system, conducting a remote, robotic exploration with software and instruments designed by denizens of planet Earth.